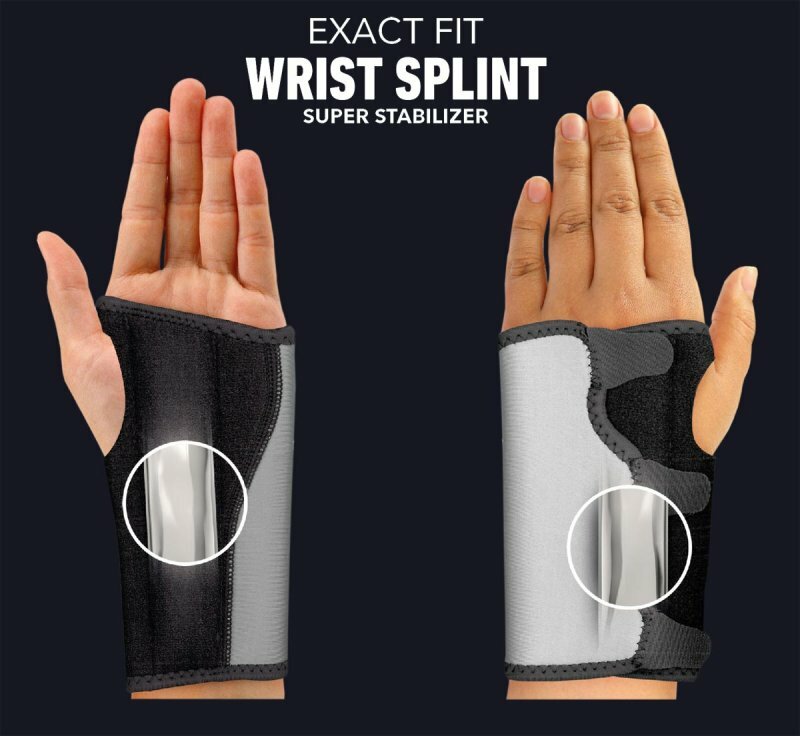 New generation wrist splint stabilizer, Powerball *Exact Fit* wrist splint is a custom splint that molds easily to the contours of your wrist for an exact fit every time. 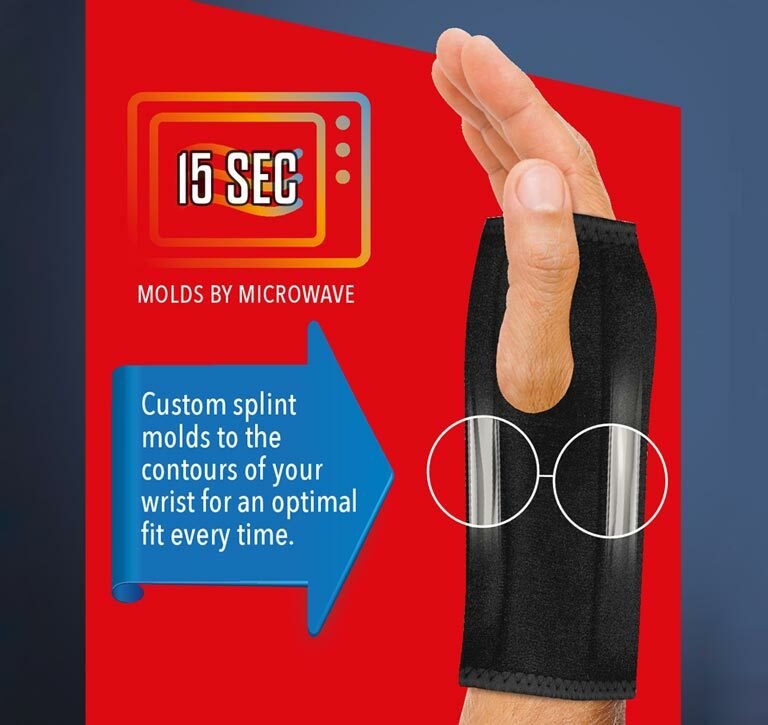 Molds by microwave: Microwave for just 15 seconds, form and shape on the wrist and leave for 10 minutes to cool and harden. Perfect fit: The splint hardens quickly to form the exact contour of your wrist giving it 100% stabilization. Blended Neoprene: Warm & comfortable material helps retain body heat for faster recovery.